Director Lenny Abrahamson has told RTÉ Entertainment that he and Domhnall Gleeson want to work together more in the future, as they prepare for the release of their second film together, The Little Stranger. 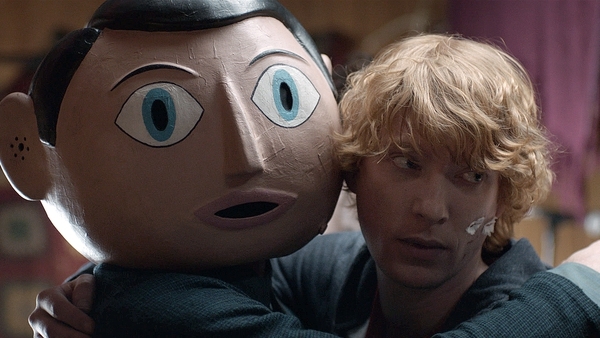 Abrahamson and Gleeson first teamed up for 2014's Frank, and they plan to build on their working relationship beyond The Little Stranger, with both stars hailing each other's way of working and the collaborative nature they have on set. "I've worked with Lenny twice now and the amazing thing about it is he will talk to me and talk me through the drafts as they go along and as the film changes," Gleeson told RTÉ Entertainment. "The film always changes with Lenny, much more than with other people in the lead-up to the filmmaking, in a very structured way as the film kind of condenses and becomes more crystallised into what he wants it to be." Gleeson said that being involved in those discussions with the Oscar-nominated director is "incredibly satisfying." "There's no last minute questions of 'but I thought we were doing this?' There are lots of last minute opportunities to try different things, but you know what you're going in to be in and going to work that way," he said. "Knowing that in your head, I find incredibly satisfying and it gives you much more freedom to try lots of different things because you know the area you're playing in." Abrahamson added that he finds having that certainty in what they are trying to achieve, gives actors more "opportunity to play" when it comes to actually filming. "That way of working with Domhnall, which was there on Frank, it isn't always the way it works with actors, and that's not a criticism because some actors, it's not their thing, they want just to hit that immediate thing on the day," Abrahamson told RTÉ Entertainment. "For me I love working like that which is why I think we work so well and want to do it more, because I love that ability to listen to the actor, because it's not just me keeping Domhnall abreast of it, it's also hearing back from him what he thinks of that and using that to go back into the script." Gleeson's co-star Ruth Wilson spoke about how early the preparation began on the film, saying, "I don't know if it's how he (Abrahamson) works or how Domhnall works or both, but we all got together really early. "It was like six weeks before we started shooting, which is really early, or even two months before we started shooting, and we were sitting around, I'd hardly read it, and we were sitting around talking about the characters and the story and what it meant." The Little Stranger hits cinemas on September 21.